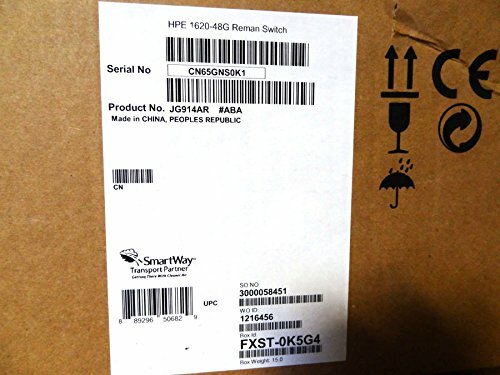 the Hp 1620 Switch Series Are Entry Configurable Switches For Small Business Networking, A Step Up From Unmanaged Devices, With Features To Enhance Network Security, Performance And Reliability.these Gigabit Switches Are Plug-and-play Out Of The Box, Yet Network Operation Can Be Fine-tuned Through Features Available From A Simple Web Browser-based Gui, If Necessary. Enhance Security Using Virtual Lans, Link Aggregation Or Igmp Snooping Boost Uplink Performance And Loop Prevention Enhances Network Reliability.the Series Consists Of 8-, 24-, And 48-port 10/100/1000base-t Models Each Providing Non-blocking Gigabit Per Port Performance. All Models Can Be Rack Mounted And Include The Necessary Rack Mounting Hardware; The 8-port Model Can Also Be Wall Mounted. All Models Come With Internal Power Supplies And Localized Power Cord Removing The Need To Manage External Power Adapters. The 8-, And 24 Port Models Are Fanless For Silent Operation. All Models Come With Hp Limited Lifetime Warranty.